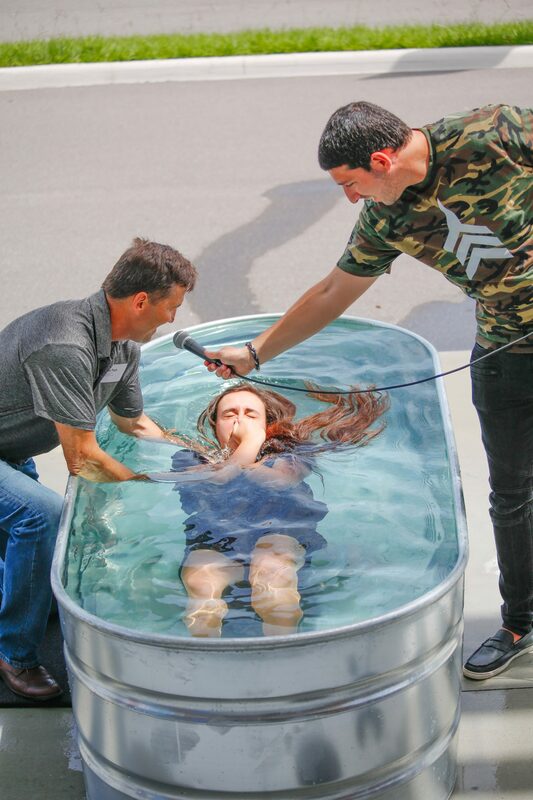 We believe that the baptism of a believer in Jesus Christ is both an act of obedience as well as a public declaration of and identification with Christ in His death, burial, and resurrection. When God’s people obediently declare Jesus is Lord through baptism, we get really excited. Want to learn more? Download this booklet and find out more about baptism. Want to get baptized? Please complete our baptism application form here, or contact us with any questions here.